In today’s reading landscape the definition of the book is constantly changing. “The book as a physical object with paper pages is now only one version of what a book might be” (Hancox, 2013, para 7). Digital or electronic literature emerged on the web in the 1980s with hypertext fiction (Rettberg, 2012) and further innovations in digital literature are redefining reading and literacy (Liu, 2005). Readers are expecting and demanding greater interaction with books, authors and other readers (Warner, 2013). Digital literature is available in many different formats using multiple devices. According to Unsworth (2010) digital narratives fit into three categories. Electronically augmented texts enhance and extend the printed book with additional electronic resources. Re-contextualised takes literature that has already been published as a book and re-publishes it in a digital format. Stories that have only been published digitally constitute the third category of “digitally originated literary text” (Unsworth, 2010, p. 65). Many readers are incorporating digital forms into their reading schema (James & de Kock, 2015), while others are overwhelmed by the complexity that surrounds this ecosystem. New kinds of literacies are required to experience digital books (Hancox, 2013). Devices must be mastered, accounts created before dealing with new visual, sensory and kinaesthetic features within the story. Motivated individuals can overcome these challenges but they are more problematic for others (Doiron, 2011). Hypertext and interactive fiction allows readers to access “nonlinear narratives through various hotspots or links online” (Lamb, 2011, p.15). This dynamic format began by leveraging the emerging web environment in the 1990s. The trend towards e-readers and mobile devices has extended the reach of hypertext and interactive texts. It is argued that more cognitive effort is required for reading hypertext and that multitasking using a screen can hinder comprehension (Cull, 2011). However “individuals living in the digital world are becoming accustomed” (James & de Kock, 2013) to stories delivered this way. Interactive storybooks have been available since the 1990s when publishers collaborated with software companies and the multimedia industry (Herther, 2011). “Multimedia allows users to learn via seeing, hearing, reading, doing and simulating” (James & de Kock, p.119). Careful selection using existing criteria for good literature and additional criteria for digital storybooks is essential for pedagogical application. “Overall, there needs to be an aesthetic synergy between the technical features, the artistic creation of the text and the ideas within it” (Walsh, 2013,p. 187). Apps for mobile devices are now a common platform for interactive storybooks and require a critical eye. “Transmedia storytelling involves a multimodal, multimedia story with nonlinear, participatory elements” (Lamb, 2011, p.15). Readers are invited to “seek out, evaluate, and integrate information conveyed across different media” (Jenkins, 2010, para 4). Stories are moving beyond the page and reading is becoming a social and participatory activity amongst teenagers (Kasman Valenza & Stephens, 2012, p. 78). Whether this type of reading enhances or distracts the reader is a concern amongst some educators. (Lamb, 2011, p. 17). Digital media is contributing to a “transformative shift in reading” (Liu, 2005, p. 701) that has advantages over the print environment with “interactivity, non linearity, immediacy of accessing information, and the convergence of text and images, audio and video” (Liu, 2005, p. 701). People read for enjoyment, to be entertained, to obtain information and to learn. Today “a tremendous amount of reading takes place in non-book forms” (Warner, 2013, para 6). Some stories may be better suited, enhanced, amplified and augmented by multimedia and multimodal formats. “When handled intelligently and sensitively – there are instances in which the embedded media are capable of creating a heightened sense of immersion and engagement” (James & de Kock, 2013, p118) that print cannot. Print books are easy to navigate and have a topography that is absent with most screens (Jabr, 2013). 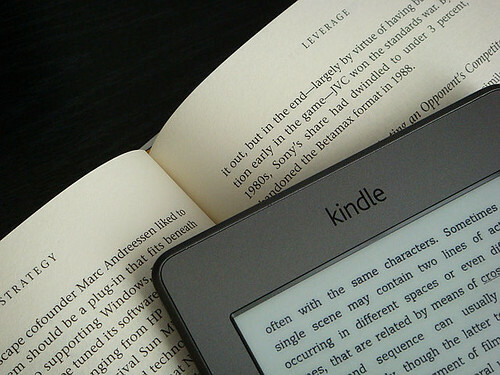 E-readers have attempted to replicate the look of a book to overcome this issue however many people prefer print for concentrated reading. Attitudes will likely change over time with younger readers influenced by electronic media (Unsworth, 2008). Rather than debating the advantages and disadvantages of print versus digital, perhaps the story experience is the critical factor rather than the reading experience (Bowler, 2012, p. 44). The natural environment is a topic studied by Geography students undertaking their Victorian Certificate of Education (VCE). Firestorm has pedagogical potential suited to this level. The personal story in conjunction with the factual information around bushfires is ripe for discussion and further exploration on how humans and the natural environment coexist. Firestorm is freely available online with a web browser so it could be projected to a class using an interactive white board. VCE students all have iPads so a flipped learning scenario could also be used. Herther, N. K. (2011, June). From CD-ROMs to Ebooks. Searcher, 19(5), 12+. Retrieved fromhttp://go.galegroup.com/ps/i.do? Walsh, M. (2013). Literature in a digital environment. In L. McDonald (Ed. ), A literature companion for teachers (pp. 181-194). Marrickville, NSW: Primary English Teaching Association Australia. Retrieved from https://www.csu.edu.au/division/library/ereserve/pdf/walsh-m3.pdf. Chopsticks is an enhanced ebook (Lamb, 2011) published by Penguin Books for purchase as a mobile app for the iPad and iPhone. Using Unsworth’s categorisation, Chopsticks is a digitally originated literary text that utilises interactive elements and a variety of media (2005) to tell the story of Glory a sixteen-year-old piano prodigy. The app is aimed at young adult readers however adults may also be drawn to the unique presentation. Chopsticks is “vastly different than a traditional novel” (Knapp, 2012, para 6). Prose is almost absent from this enhanced ebook (Lamb, 2011). The story is told using a combination of newspaper clippings, images, photo albums, letters, collages of personal belongings, instant messages and YouTube clips. The story opens with news reports detailing that a famous young pianist is missing. Readers must be familiar with the functions of an iPad or iPhone to use the app and the menu screen provides an option to view instructions that explain the navigation features within the multi-sensory environment. “The emerging role of haptic perception in digital reading” (Roskos, Burnstein, Shang, & Gray, 2014, p.6) is increasing with enhanced ebook apps. Swiping, zooming, pinching and tapping the screen engage haptic perception. The app is better suited to the iPad screen with less zooming required than with the small iPhone screen. Readers that lack exposure to this technology may be resistant to engage with the text (Skains, 2010). The multimodal format may be unsettling for readers unaccustomed to digital literature however the mystery surrounding Glory’s disappearance makes the reader curious and eager for more detail. Floating musical notes must be tapped to unlock or reveal sounds, words, images and video. The reader can gradually uncover these hidden features and discover more about the protagonist’s life. Roskos, Burnstein, Shang, & Gray believe “if physical actions offer a good cognitive and sensual “fit” with an unfolding narrative, then they may enhance engagement and deepen experience” (2014, p.6). The reader can become distracted if their attention is split however Chopsticks avoids this by offering the reader the choice of activating additional features such as music or video. The choices the reader makes can alter the meaning of the story. Chopsticks can be read in two different ways. The ‘read’ option presents a linear story with chapters and the ‘shuffle read’ option is nonlinear. A reader’s prior experience with digital literature may determine how they engage with the text, with readers conditioned to reading linear stories having trouble adjusting to nonlinear storytelling (Skains, 2010). Enhanced ebooks have affordances that print does not have to present nonlinear storytelling. Readers are invited to immerse themselves in the world of the two protagonists, Glory and Frank. Shared music playlists, YouTube clips and instant messaging reveals details of their developing relationship and emotional journey they are sharing despite being separated by distance. The technical capabilities of enhanced ebook apps “offers authors and readers of fiction additional methods and structures for interacting with narrative” (Skains, 2010, p. 97). This ebook app has been negatively impacted by technology and copyright constraints. For financial and technological reasons, the music and videos are linked to YouTube rather than embedded. “Viewing other content is not always a seamless process for the reader” (Hancox, 2013, para 12) and this is a weakness of this ebook app. The app was prone to freezing and crashing during the YouTube clips and this interrupted the flow of the story. Writers of print fiction leave gaps to fill or unanswered questions for the reader to ponder, referred to as phase space. “The phase space is where the fictional “add-ons” to a story live: the back story, the extra details” (Bowler, 2012, p. 35). Chopsticks allows phase space by balancing scarce use of text and being careful to avoid overwhelming multimedia elements. The authors provide cues and clues but they have left a play space for the reader (Bowler, 2012). The reader is free to find his or her own meaning. The convergence of media in the app does not dictate meaning and the reader is guided to understand situations and emotions with room left to evoke their imagination (Walsh, 2013). With many schools now using iPads, English teachers could use this app for creative writing tasks around this phase space. The motif of the Chopsticks musical piece is eloquently expressed using multimedia and illustrates the declining mental state of the young piano prodigy. The full potential of the media is realised when readers “utilize multiple sign systems including image, print, and sound” (Edwards, 2013, p. 51). The highly visual nature of the app evokes emotions and connects the reader intimately to the lives of the characters. Edwards, J. T. (2013). Reading Beyond the Borders: Observations on Digital eBook Readers and Adolescent Reading Practices Technological Tools for the Literacy Classroom (pp. 135-158). Hershey, PA, USA: IGI Global. Firestorm is an online interactive story produced by The Guardian and freely available and presented using a web browser. The story of the Holmes family’s dramatic experience of a the Dunalley bushfire in Tasmania is combined with information about the history of bushfires, fire fighting and climate change using multimedia. Also referred to as multimedia immersive journalism, digital narratives produced with software “enables the integration of aural, visual and sensory elements” (Walsh, 2013, p. 186). The multimodal and multimedia elements would suggest it would be categorised by Lamb (2011) as transmedia storytelling. The “convergence of multiple media begins immediately” (James & de Kock, 2013, p. 115) with a dramatic photograph of the family sheltering from the bushfire augmented with audio from the fire fighters and text introducing the story. Immediately the setting of the story is conveyed and empathy for the family is established. According to Walsh (2013) good literature requires these elements so that the reader can “empathise with characters and their feelings, and imagine what it would be like if we were in them” (2013, p. 186). The reader is motivated to learn more about the people in the photograph and is guided to scroll down to continue the story. While scrolling through a lengthy text can be arduous, in a highly visual linear medium such as Firestorm, scrolling is a strength instead of a weakness. (Jabr, 2013). The linear narrative is divided into six chapters in the same way a printed book would be. The leap from reading in print to reading on the screen is not as great using this format. “People know how to organize and manipulate paper documents, but manipulating electronic documents requires a different set of skills” (Liu, 2005, p. 702). The size and layout of the text has been carefully considered to avoid overwhelming the reader. It has been found that online reading exhausts our resources more and that “we read more efficiently when text is arranged in a single column” (Konnikova, 2014, para 4). The tendency to skim or scan the text in Firestorm is lessened by utilising a one-column presentation. Much of the personal story is conveyed through the videos of Tim and Tammy Holmes speaking personally about their experiences. The videos are embedded seamlessly into the narrative and begin without any intervention from the reader. The affordance of the technical system controls the reader, draws them through the story and prevents them from getting lost (Bourchardon & Heckman, 2012). Reading flow is not disrupted by having to open a browser. Embedding short videos supplements the story and creates an atmosphere of fear, urgency and hope that cannot be expressed in words (Hancox, 2013). “The Guardian staff understands that with video, the images tell their own story. There’s no need to add text” (Johnson, 2013, para 12). Detailed factual information and statistics about bushfires, the ecology of Tasmania, fire fighting and climate change provide context for the personal story. Text is relied on to a greater degree in this broader narrative with maps, infographics and videos used appropriately to supplement it (James & de Kock, 2013). The visual style resembles a long form magazine article that has been amplified with high quality media. “Overall their needs to be an aesthetic synergy between the technical features, the artistic creation of the text and the ideas within it” (Walsh, 2013, p. 187). Firestorm achieves this by subtle use of video and sound that does not distract the reader’s attention from the written text. The story is magnified and made authentic with images and video taken by the family, police, firefighters and residents at the time of the bushfire. Walsh (2013) believes good literature needs to be authentic for readers to make emotional and physical connections to the setting and characters. The two different narratives are woven together well and provide a good balance between personal and factual information. Readers in a digital world are becoming accustomed to rich story experiences through news, social media and documentaries (James & de Kock, 2013). Firestorm leverages improved browser functionality to deliver an innovative digital non-fiction story “enhanced with affecting visuals” (James & de Kock, 2013 p. 110) that could be used in either a senior English or Geography classroom. The ease of access, clear navigation and limited transmedia elements, makes Firestorm an excellent introduction to interactive storytelling for readers with limited digital literacy. Midnight Feast is an interactive picture book app published by Australian studio Slap Happy Harry and available for purchase from iTunes. “Interactive storybooks feature a narrator reading a linear story aloud” (Lamb, 2011, p. 14) and are accompanied by text and illustrations. The app is suitable for children nine years and over, however older children and teenagers may understand and interpret the story at a deeper level. On entering the app, readers are greeted by a bright hand drawn artwork that serves as the menu to access options, individual pages and to start the book. The options allow the reader or teacher to turn narration on or off and there is an option to eliminate the “scary sauce” (Kirkus Review, 2013) to prevent younger children from being scared or confused by some of the content. The music is less foreboding and minor adjustments have been made to some scenes to suit younger readers. Depending on the age and technical ability of the reader, intervention by an adult may be required to negotiate new online reading literacies (Leu, 2011). The story starts with the reader briefly seeing an apartment building from a distance before being transported closer to peer through a window. A father is telling his daughter to get ready for bed but she wants to stay up late. Text is overlaid on the muted illustration and narrated with appropriate tone (Yokota, 2014). A small arrow invites the reader to move forward. A corresponding backwards arrow is also provided to aid with comprehension (Jabr, 2013). Although it is not explicitly stated, tapping the screen activates dialogue, sound effects and actions by the characters. The muted, dark, shadowy illustrations transition, with a shimmery, dreamlike effect, to brighter, sharper illustrations as Roya’s imaginary world is evoked. The thoughtfully used animation and introductory passage draws the reader into the story. Curious to know more about Roya and her little sister, the reader enables their kinesthetic use of touch and gesture to proceed (Walsh, 2013). The reader can discover hot spots that add finer details, motion and emotion to the story. These features amplify the narrative, however the story can be read and comprehended without uncovering them. The authors are not imposing amplification on the reader, instead they allow for spontaneous discovery of image and text. The hot spots are not used frivolously and maintain a good illustration and text match (Yokota, 2014). Pages (or screens) alternate between describing Roya’s life in a poor urban area and witnessing her reimagined life as midnight approaches. The iPad ‘s interactive elements are not overwhelming; they are restrained and unobtrusive (Kirkus Review, 2013). Rub to reveal scenes are selectively used to involve the reader in manipulating Roya’s dream world. Randomly generated recipes and film titles seem like a gimmick at first but they may also intrigue the reader and lead to further research. There is synergy between the visual and tactile affordances that supports the literary experience (Roskos, 2014). The rich language includes metaphors, alliteration and other literary devices. The illustrations make the most of motifs, colour and symbolism to complement and improve on the text. A news report on the radio informs the reader of the dire situation Roya and her family lives in with food shortages and malnutrition a grim reality. A naïve reader may not understand the themes of food shortages, drought, and poverty but good literature can prompt readers to “consider issues and ideas through stories (Walsh 2013, p. 186). Opportunities for word exploration using highlighted text are common in apps for younger children (Yokota, 2014). Midnight Feast targets a slightly older audience and does not highlight words as they are read. Struggling older readers would benefit if highlighted text were an option. The vocabulary is sophisticated and the lack of access to an inbuilt dictionary, for immediate on-demand help, is a weakness. (Bus, 2014). Readers could use the other affordances of the iPad and locate a dictionary however multitasking can disrupt immersive reading (Maloney, 2015) and negatively effect comprehension. The Slap Happy Harry website contains additional resources for Midnight Feast. Close reading notes provide teachers with a screen-by-screen synopsis, pre-reading questions and other key questions for readers to consider. Activities for readers aged twelve to sixteen are available as a PDF document. These activities are extremely detailed, cover different curriculum areas and scaffold the text. With its hidden depths, Midnight Feast “rewards the patient, deliberate user” (Grabarek, 2013, para 3). Subtle effects made possible within the iPad app environment augment the beautiful artwork and enhance meaning. Midnight Feast would work well in the classroom with themes ripe for discussion and as an outstanding example of an interactive storybook. Categorisation of digital literature is difficult. Are categories that were developed ten years ago still applicable? Digital literature has been available for twenty years but the way in which we access it and experience it has changed with developments in technology. Electronically augmented literary text that involves a print book with augmented online resources made available to enhance or extend the reading experience. Re-contextualised literary text where a book is re-published online or on CD-ROM. These works are out of copyright and are free to access and are available through Project Gutenberg or other online libraries. They can also be stories provided and sold by publishers in formats such as audio books, CD-ROM. Digitally originated literary text is available in digital format only on the web or CD-ROM and consist of e-stories for early readers, e-narratives and interactive story contexts with elements such as maps and factual information, hypertext narratives with text and hyperlinks, hypermedia narratives with tex, hyperlinks and images used in combination. e-books are versions of linear texts for e-readers that feature tools such as dictionaries, search, adjustable font and note taking tools. Enhanced e-books of linear texts for the iPad, iPhone and other mobile devices that feature images, weblinks, and embedded media. Interactive storybooks started at CD-ROMs in the 1990s and are now available as apps with a linear story read aloud by a narrator often with highlighted text, ability to define words on the screen and explore visual elements. The option for the child to read the story or be read to using narration is usually available. Reference databases are now available as apps and are non linear with organised access through search tools. Maps, photo galleries, audio and video feature along with bookmarking and note taking tools. Hypertexts and interactive fiction are non linear and the story is accessed through hotspots or links. The reader is given options to move through the story. Transmedia storytelling is a multimodal, multimedia story that is non linear and features participatory elements. Elements may include print, documents, maps, web clues, apps, mobile phone messages, social media connections, activities , games and media. These elements may not be in the one location. I am finding it difficult to fit some of my reading into these categories. While many texts easily slot into Unsworth’s more general categories or Lamb’s more recent categories, others are a blend and could possibly fit into more that one category. Perhaps the broader categories proposed by Troy Hicks (2014) are more suitable to the present digital literature environment.